Make everyday a luxurious one wearing the Movado® Bold watch. Round 32 mm stainless steel case. Stainless steel and yellow gold ion-plated link bracelet. Silver-tone face dial with 144 pavé crystal center, yellow gold-tone sunray dot, hands and stamped Roman numerals. 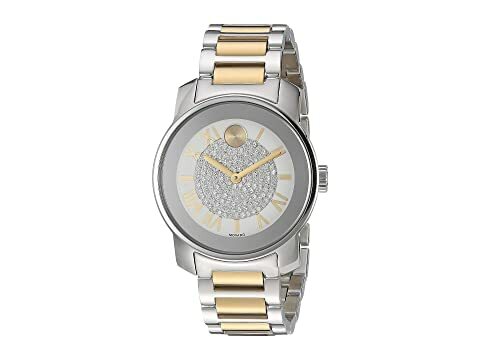 We can't currently find any similar items for the Bold - 3600256 by Movado. Sorry!